Established in 2011, Henley Care provides weekly and daily visits in Henley-on-Thames, as well as providing live-in care throughout Oxfordshire, Berkshire and Buckinghamshire. Henley Care has already acquired a reputation amongst county council providers for caring for persons requiring round-the-clock complex home care by teams of nurses and carers. We are fast expanding and moved recently to new areas such as London, Newbury, Oxford. We work directly with persons or families as well as local authority care providers and currently employ over 30 carers with clients throughout the three counties. Importantly all our carers are direct employees of Henley Care and not freelance staff. Client welfare is at the heart of everything we do. We strive to ensure our carers go above and beyond the basic requirements. Where someone requires live in care we endeavour to make the arrangements in such a way that having a carer in your home is as easy as possible and causes the minimum disruption but with the maximum benefit in terms of help and assistance for the person being cared for. Again we endeavour to match the carer with the person being looked after so that the two will get along well together and so that the carer can also provide a degree of companionship. Flexibility is really a key issue when it comes to planning your care and Henley Care is pleased to be able to offer a combination of weekly and/or daily visits as far as possible at times and on days to suit. We have a team of carers in liveried company cars who travel throughout the counties visiting clients in their own homes. Henley Care carers can take you shopping, for your appointments out for coffee, or just pop in to have a chat if you feel lonely. Anyone involved in caring for a friend or loved one knows how utterly exhausting this can be and how essential it is to have a break. Henley Care provides experienced carers that can work alongside whomever is currently providing care in order to familiarise themselves with the clients systems, procedures and preferences. This makes for a seamless transition when the regular carer / family member goes for a much needed break confident in the knowledge that their charge or loved one is in the best of hands. Henley Care is also pleased to provide cover at night where required either as what we term as 'waking nights' where the carer is available to be woken throughout the night should the need arise or, alternatively, where the carer is awake and looking after the client throughout the night. Henley Care also has a range of equipment designed to alert the carer should the client need to get up during the night. Recovering from any operation or periods of hospitalisation can be a difficult time and Henley Care prides itself on being able to make that transition from hospital to home as smooth and safe as possible. This typically involves the continuing of drug therapies as well as physiotherapy and special exercises in order to encourage full recovery and mobility. Where appropriate Henley Care often starts the process in the hospital, or care home, working alongside other nurses in order to fully understand what will be required when the person comes home. In addition to providing specialist care and nursing cover Henley Care is also pleased to provide less formal domiciliary care and companionship for when those household tasks are just getting a bit too much and when a little help with washing and dressing and shopping would be invaluable. 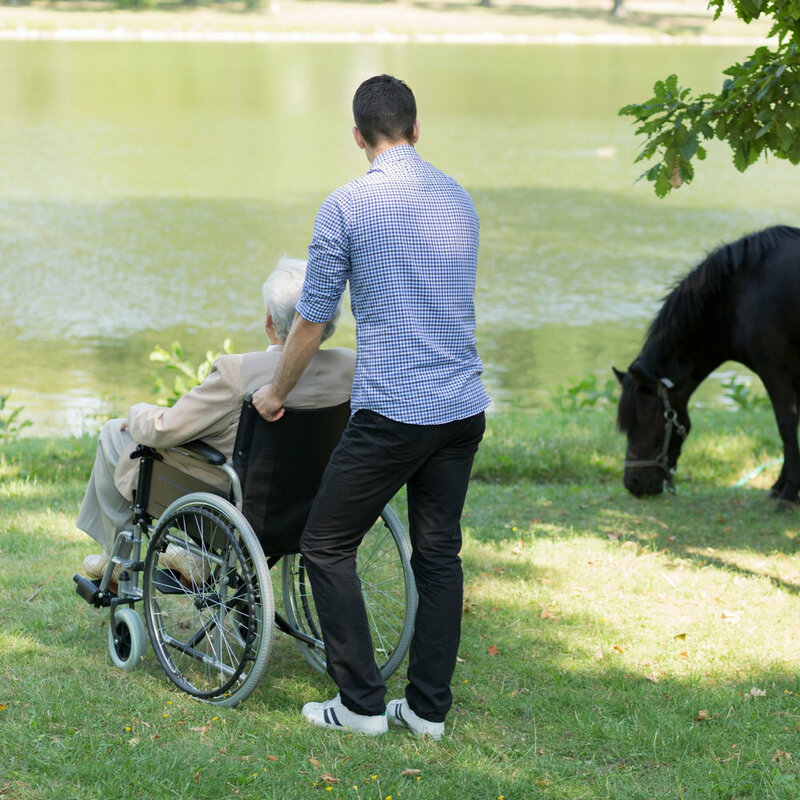 As in every case we go to particular efforts to try and match the domiciliary carer / companion with the person needing the help to ensure they get on well together and enjoy each other’s company. Remaining in the comfort of your own home offers many health and financial advantages. Our fully trained, insured and DBS checked nurses are highly qualified and they are confident to assist with complex care needs. Each complex case client has assigned Lead nurse who looks over the complexity of the case. Henley Care has capacity to train staff in catheter care, nebulisers, inhalers, suction, Peg Feed, epilepsy, dialysis, spinal injury management, multiple sclerosis. Carers and nurses are trained, briefed and placed for shadow to maintain highly personalised care programmes that are tailored to individual circumstances. We will work tirelessly to find the most appropriate care solution for our clients and ensure that all care plans are constantly updated to take into account clients changing circumstances. For any enquiries you may have, please feel free to contact us and we will do our best to get back to you as soon as possible.